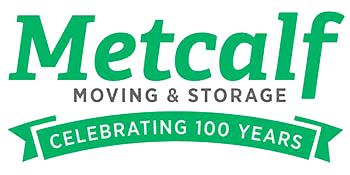 Edina, MN household movers depend on Metcalf Moving and have done so since 1919. For Almost 100 years we served as a local moving company for the Twin Cities. Since then Metcalf Moving has grown to be the preferred mover for Edina, MN Movers as well. If you are moving within Edina, to the next town, or you have an interstate move to plan, you can count on Metcalf to meet your relocation needs. Metcalf Moving Full-Service Move option will take care of everything; we carefully pack your belongings and load the truck at your old home then unload and unpack at your new home. Your personal move coordinator at Metcalf will arrange packing, loading, and transportation to your new home. At your new home, Metcalf’s professional movers will unload your items and place your items in their proper place. For the least stressful way to move, consider full-Service moving from Metcalf Moving. If you are hands-on, Metcalf’s flexible moving services are ideal for you. Edina movers who want to handle some or most of the move themselves can have Metcalf provide just the moving services they need. Want to pack your boxes and move the furniture around in your new home? 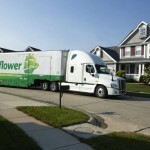 Our movers can load the truck and unload it at your new home. You can take care of the rest if you wish. Contact Metcalf Moving to arrange moving services that are customized to your relocation needs. Metcalf Moving & Storage provides long-term and short-term storage for Edina household movers. When your new home is not quite move-in ready, you can arrange storage at Metcalf Moving’s secure, climate-controlled warehouse. Take a look at our storage options. Looking for the best long distance moving partner? Metcalf Moving is the Edina, MN Mayflower long distance agent of choice. As an agent with Mayflower Transit, we work with an interstate agent network that ensures your long distance move experience is as smooth and stress-free as possible. Learn more about our long distance moving services. International movers from Edina rely on Metcalf International Relocation service. We ensure your household belongings are shipped properly from shipped from Edina to your new home across the globe. 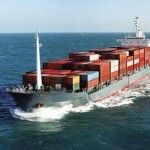 Our international team is experienced in the required documentation for global movers. We have the knowledge to handle your international move from start to finish. Learn More.